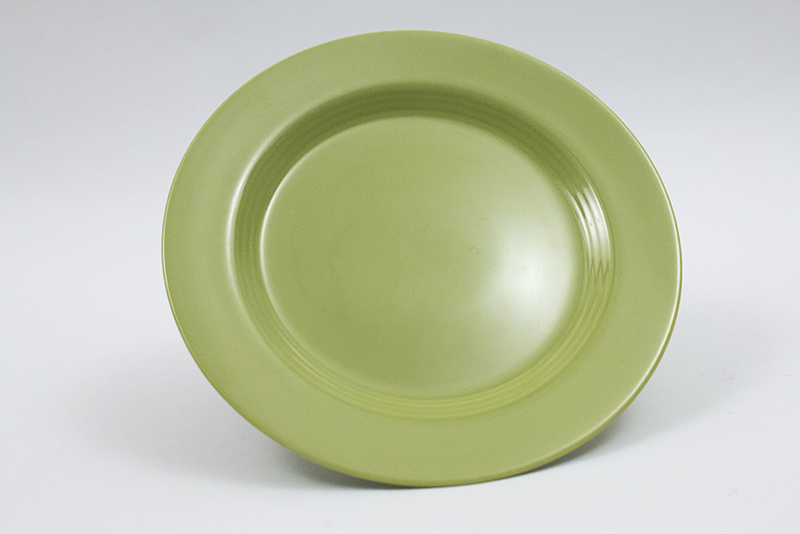 Circa 1951-1959: The plate was the first piece designed by creator Frederik Rhead as he set out to develop a solid color, mix-n-match pottery line at the request of the five-and-dime giant of the time, Woolworth's. 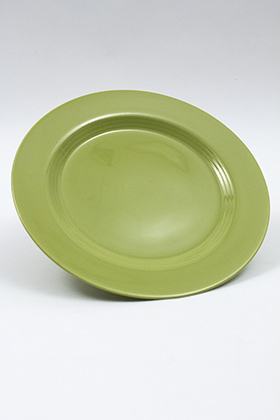 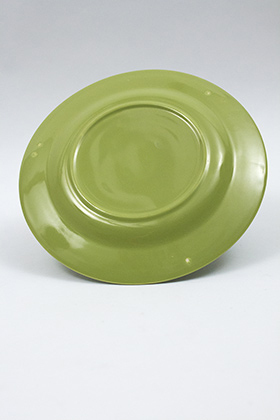 This example of the hard to find large 10" dinner size plate, in the 50s chartreuse glaze is in excellent condition. 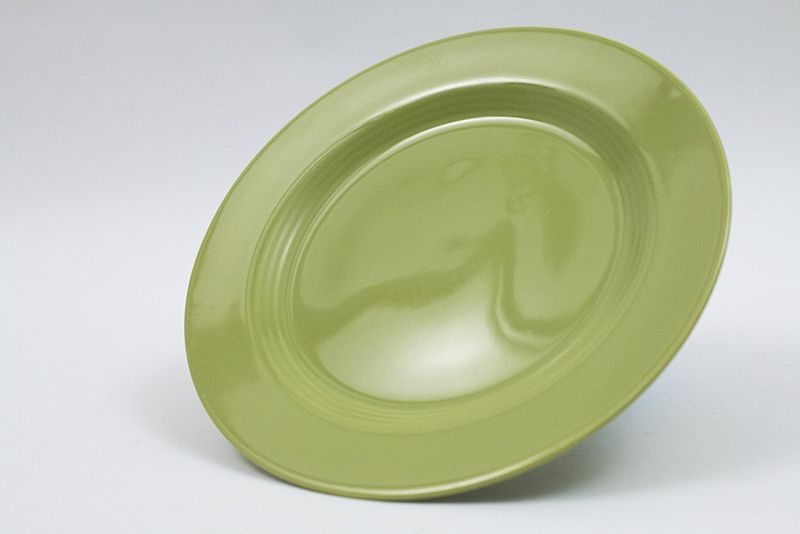 Measures 10" x 7/8".